The nuns of Hetauda have a big wish. They wish to have this nunnery, and to have it include both a shedra─a place of study─as well as a drubdra─a place of practice. This is their wish. Dharmachakra Mahakaruni Buddhavihar, also known as Ngagyur Nyingje Chokhor Ling, is a small nunnery in Hetauda. The small city, located amidst the jungles linking Nepal’s hills to its Terai flatlands, has a large population of Buddhists. Apart from providing religious training and education for its 50 resident nuns, the nunnery plays an active role in the surrounding community. 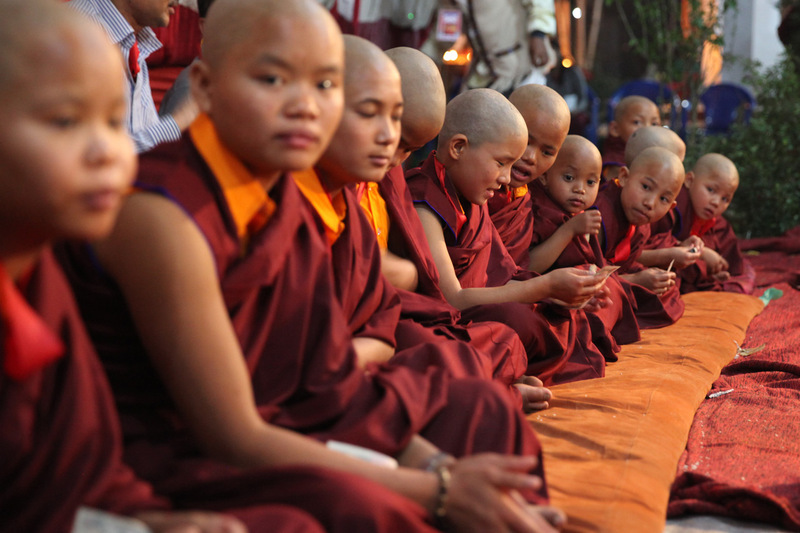 Serving as a center of Buddhist study and worship for the Hetauda congregation, there locals can learn to read religious texts and perform rituals of worship, both at the nunnery and in the outlying villages. 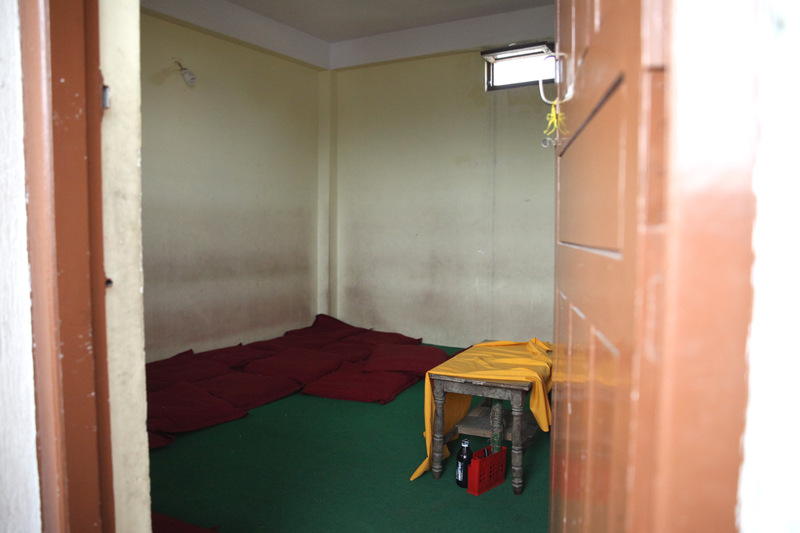 Its founder, Paljor Lama, had been a close disciple and chant-master of Kharsha Rinpoche who had established Nagi Gompa. Inspired by Rinpoche, in 1961 Paljor Lama received land from the government and officially established the Hetauda nunnery. That same year Kharsha Rinpoche passed away, and Kyabje Tulku Urgyen Rinpoche was appointed custodian of Nagi Gompa. Paljor Lama kept close ties with Tulku Urgyen Rinpoche, and with Kharsha Rinpoche’s former students, the Newars of Uku Bahal. When Ka-Nying Shedrub Ling was being constructed, members of the Hetauda community helped supply timber. By 1963, a few small buildings dotted the complex; one building still stands today. In 1976, the main temple was built along with two large stupas sponsored by locals. Both were consecrated by Kyabje Chatral Rinpoche and Kyabje Penor Rinpoche. A three-story house within the compound serves as the monastic residence. Shortly before his death in 1996, Paljor Lama bequeathed the Hetauda nunnery to Kyabje Tulku Urgyen Rinpoche who, himself, entered parinirvana just two weeks later. 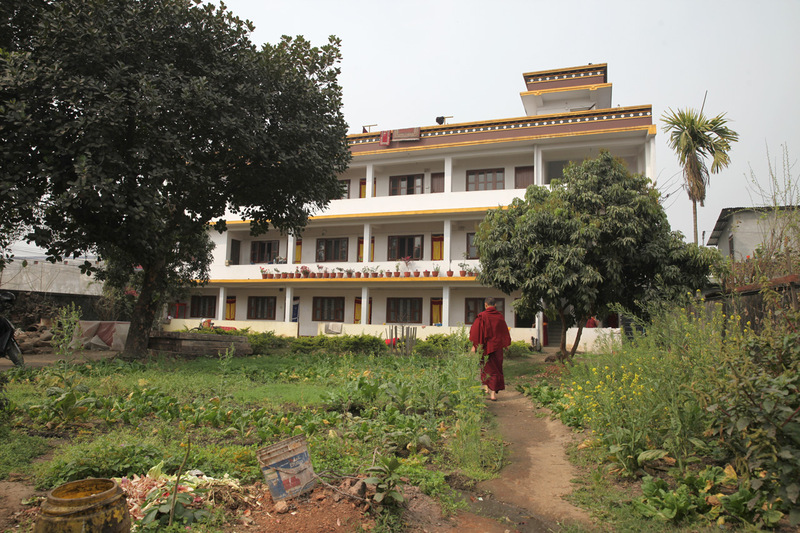 In 1997, the nunnery was offered to Chokyi Nyima Rinpoche. 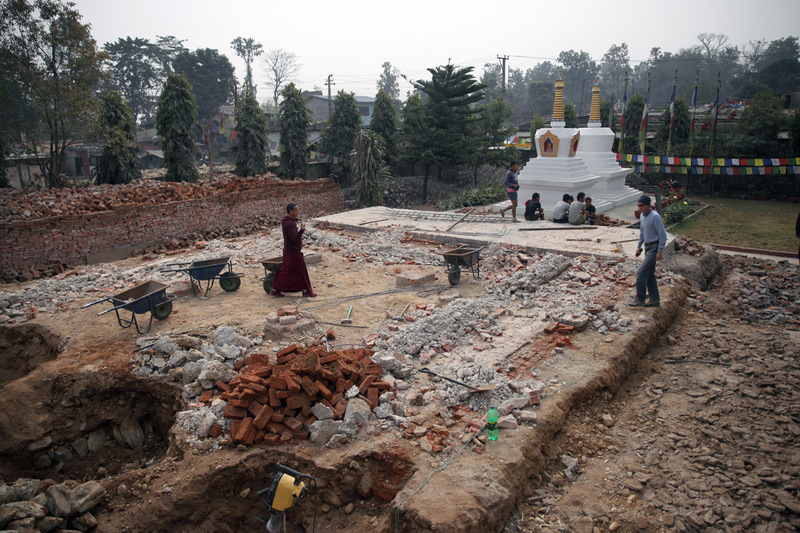 2015’s major earthquakes nearly destroyed the small temple, and sadly it had to be razed. A much smaller, recently constructed temple serves as its temporary replacement, and a new building, comprising several classrooms, is planned. A group of new nuns with Chokyi Nyima Rinpoche holding their certificates with new names. 2016. 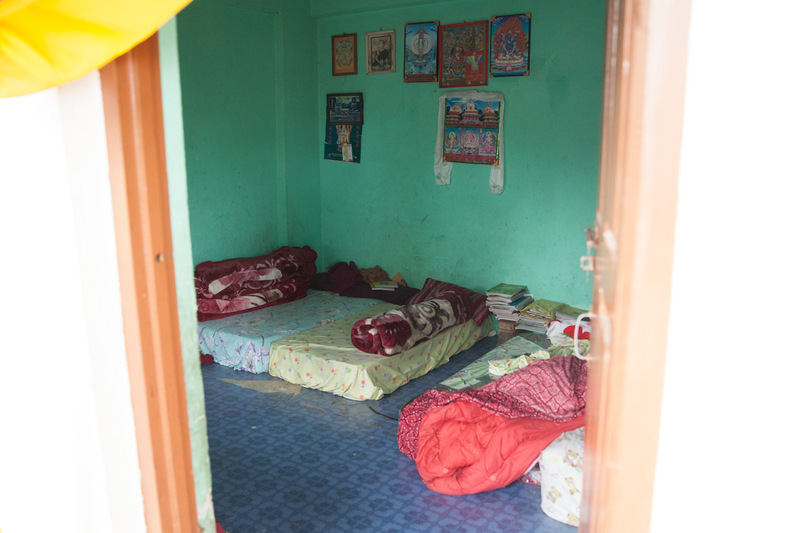 Nuns in their living quarters. Building fro classrooms and living quarters. Place where the old Temple used to be that had to be taken down after the earthquakes. A nun with her sister who is part of a group of girls that will become nuns in 2018.